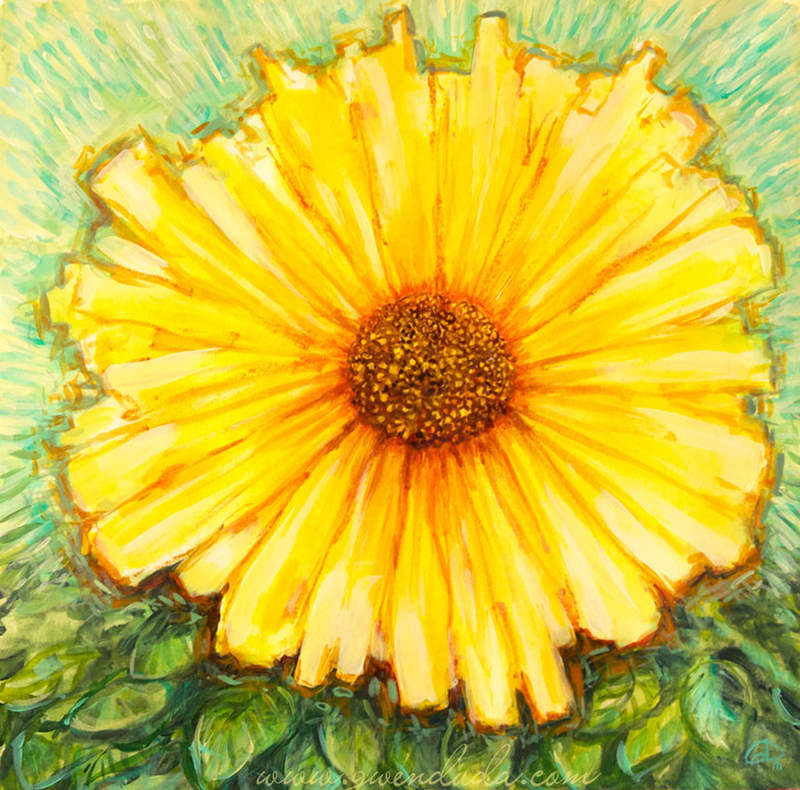 Large Sunflower Luminous Original Painting 16"x20"
Beautifully beaming yellow cosmos, daisy, sunflower type of floral original expressionistic acrylic painting, 12" x 12", on paper with a green canopy below it and a teal blue sky above. The perfect recipe for happiness and good fortune! Can be mounted to a birch cradled wooden support if desired for an additional cost ($50.00).